Spring has arrived and with a bit of luck, we’ll get some good weather to enjoy the Easter Holidays. As we set off on a bank holiday trip or to visit family and friends, the last thing we want is to get stuck in roadworks or have a breakdown. We have some good news about roadworks, Highways England has just told us that they will be lifting and completing hundreds of miles of roadworks to make life easier for anyone travelling by road over Easter. Almost 500 miles of roadworks will be removed from motorways and major A roads by 18th April. 99% of motorways and major A roads in England will be free from roadworks over the Easter Holidays which will certainly make for smoother journeys. Now that Highways England has taken care of the roadworks it’s up to you to make sure your car doesn’t breakdown, causing a traffic jam and delaying your journey. 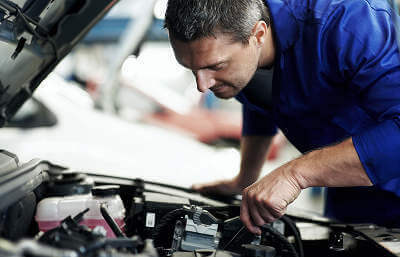 Over half of car breakdowns can be avoided with a little preparation before starting your journey. Here’s a list of simple checks to save you time, money and hassle. Fuel: it sounds obvious but check your gauge and fill up in good time. Tyres: check tyre pressure and tyre tread depth (1.6mm minimum). We’d also advise that you inspect your tyres for wear and tear and make sure your spare is in good condition too. You don’t want to get a puncture on a busy motorway without a spare tyre. Oil: check this with your dipstick and if it’s below or near the required minimum top it up. Screen Wash: top up your water levels to make sure your windscreens are clear for safety and to admire the view! Lights: check that all your lights are working as they should be and get bulbs changed if required. If you need a garage to help you ensure your car is roadworthy just ask us for Vehicle Health Check before your Easter journey. All you have to do is enter your car’s registration, tell us what your car needs and trusted garages in your area will quote for your work.